The XR75 x-ray inspection system performs missing product inspection by area to detect dishes in a lunch box. Multiple inspection areas can be set in one product. 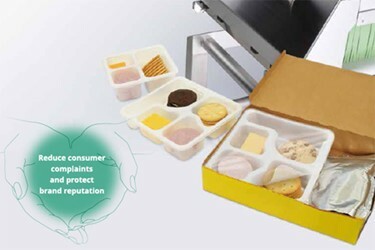 The product is evaluated as a defective product if any of inspection areas in a lunch box exceeds the reference range.